One of things that makes Scrivener such a joy to work with is being able to color code scrivenings. 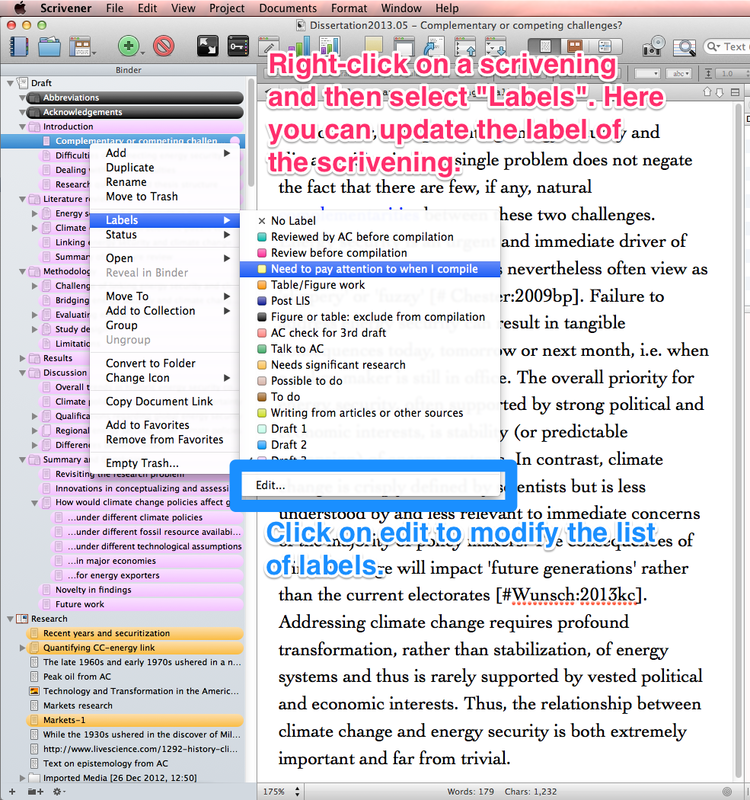 At a glance, you can immediately see the state of different parts of text and, if you’re using Scrivener for collaboration, seamlessly flag parts of the text in which you need input from collaborators. 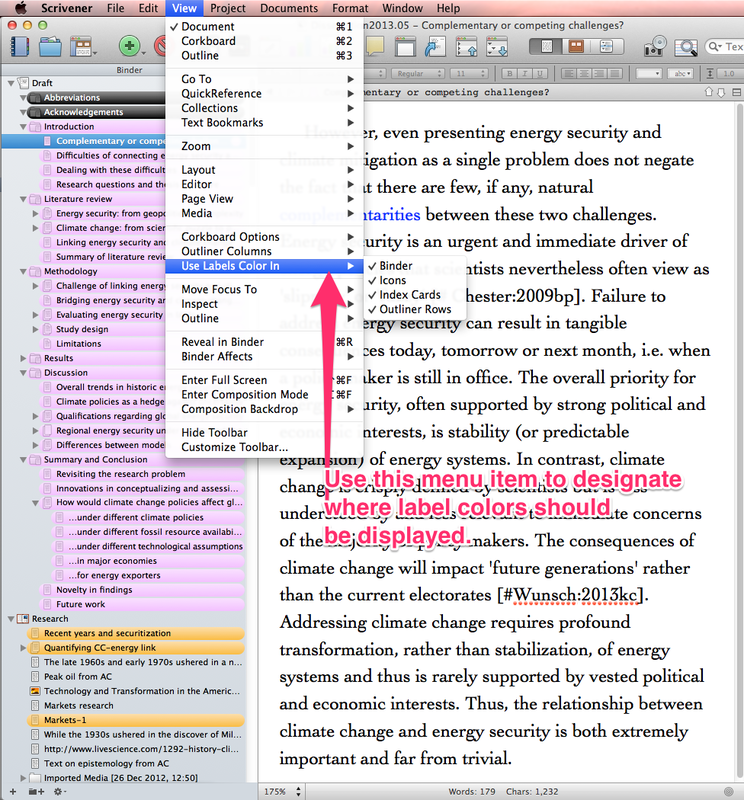 Then to get the label color to appear in the Binder, select “View → Use label colors in”. This entry was posted in Collaboration, Writing and tagged Scrivener. Bookmark the permalink. Awesome tip! never cross my mind before. Thanks. THIS IS THE BEST THING EVER! Thank you so much for posting this. I was wondering whether it was possible to see color-coding without going into a specific view and most just at a glance and this is amazing, just what I needed! 😀 Thanks again! Yes Kim it is! You need to change the settings in the View menu to “Use label color in” → Binder, Icons and Index card. (Those are the three places I use colors in to be able to see them at glance).